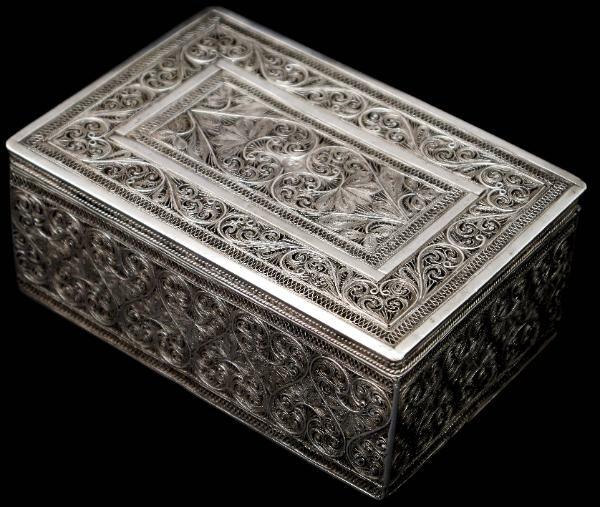 This beautiful box features exceptionally fine silver filigree work to all sides other than the base which has been cut from a plain, hammered silver sheet. The hinged lid fits tightly over the base. 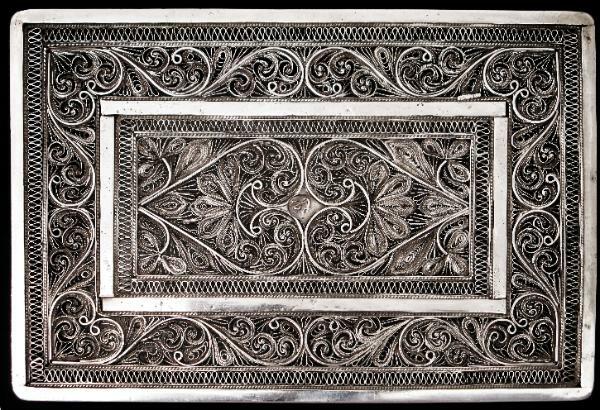 Determining the precise origins of such filigree work is difficult. It was undertaken in India, China, the Middle East, Islamic Africa and in the Malay world, including Batavia (now Jakarta), Sulawesi and the southern Philippines. 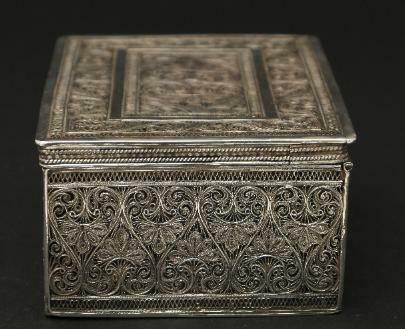 The work on this box is similar to published examples that have been attributed to Karimnagar and to Batavia. The centre of the lid of the box is marked with what appears to be an otherwise indistinct Islamic symbol. The craftsmen in Karimnagar, Goa and Batavia that undertook this type of work tended to be Muslim. 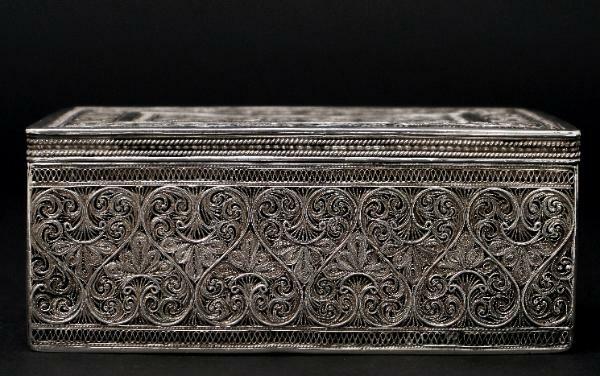 Silver Wonders from the East:Filigree of the Tsars, Lund Humphries in Association with the Hermitage Amsterdam, 2006.